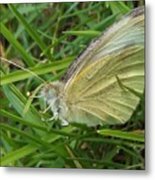 Queen duvet cover (88" x 88") featuring the image "Yellow Fringed Sulphur Butterfly In Grass Blades Image No 1 Indiana" by Rory Cubel. Our soft microfiber duvet covers are hand sewn and include a hidden zipper for easy washing and assembly. Your selected image is printed on the top surface with a soft white surface underneath. All duvet covers are machine washable with cold water and a mild detergent. Thank you,Anita! Glad to be featured in the "Groovy Butterflies" Group. My chin was in the grass for this image. Heh. I had just shut our yard gate and looked down at a white flutter in the yard grass. 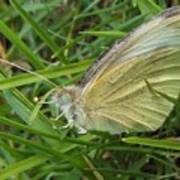 I took a closer look and saw it was a sulphur butterfly. I ran in and got my camera,hoping it would stay put. I found it remained and it was very cooperative in giving me a couple nice portraits between ground wing beats and blade climbing. After I had taken several images,I realized it was stuck in the short grass and couldn't get high enough to fly off the grass. 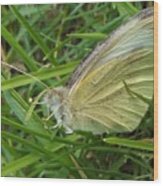 I put my finger near its tiny legs and it crawled onto it sat a few seconds,I raised it up high, then it launched itself and fluttered away. It was a great evening as the sun set. 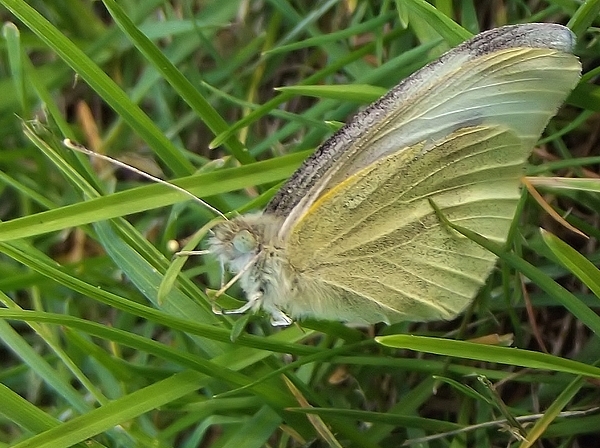 I took this image with my little Fuji Finepix S2980 dslr in extreme macro mode.